And in my hands I shall cleanse the world , one less elite at a time." Thanks for looking! C&C's are welcome! And i really like your use of MC vs DC background! It seems the entry follows all the rules, except one. You still need to state the price, even if all parts are currently available. Just calculate the average price for them via Bricklink. Thanks! Total cost based on average BL prices are now included. Haha! Great job, man. You should've named him "Corona", though. I like this a lot. I was planning something veeeery similar to this guy. Thanks, I was quite happy and surprised at the same time to have come up with a purist custom. I was just messing around mix-&-matching minifigs parts when I ended up with this fig and the overall look just 'clicked'. And sure, feel free to use any concept or idea you got from this entry. As long as our figs aren't exactly the same then I guess it's just alright. Definitely a menacing villain I could see Batman going up against. Thanks! Ha, how I wish I could really see him battling Bats in the comics, so I guess the next best thing is to pit him against the Dark Knight in a MOC I'll probably do in the near future. Looks like Hawkeye got into Nick Fury's wardrobe. Nice entry, KDM! Although it's surprising to see you post a purist entry. I like the look and backstory of your villain, and the presentation is great as always! He seems like he would fit into Gotham nicely. If there's anything I would add to it, it would be a lightning piece for his electro-staff (since it already has a clip for it). Nice entry, KDM! Although it's surprising to see you post a purist entry. I like the look and backstory of your villain, and the presentation is great as always! 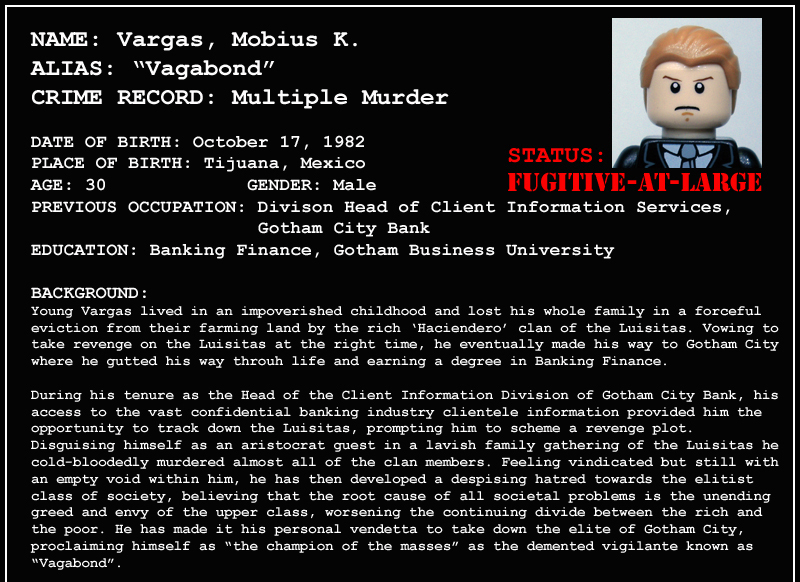 He seems like he would fit into Gotham nicely. I was quite surprised myself with the almost-purist outcome of this fig (sans the custom trench coat). It just so happened that the overall look 'clicked' and it worked for me, even if I had initial plans of brasso-ing/painting black the brown part of the torso. If there's anything I would add to it, it would be a lightning piece for his electro-staff (since it already has a clip for it). Of course that's a very good suggestion, I actually wanted to do that but my lightning piece isn't with me (it's back home). I guess I'll just do a fake lighting spark effect on the image. 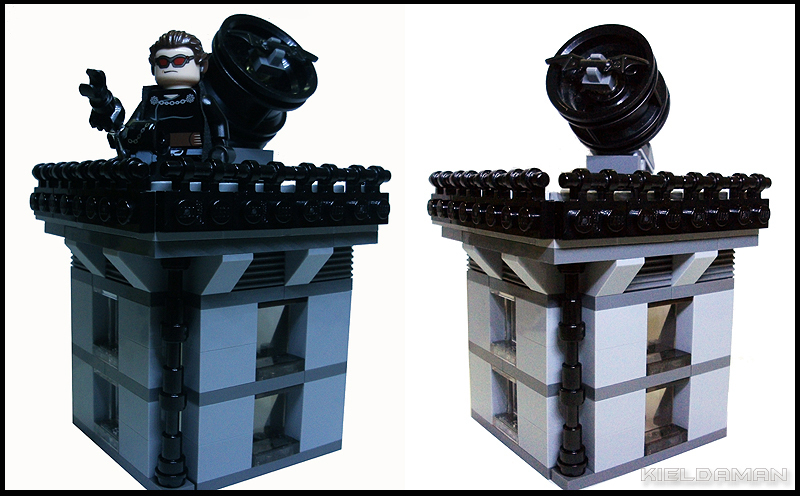 Here's a couple of shots of the vignette without the photo editing and without the minifig (can't put these two in the main entry as it will be over the 5 pics max. limit). This is supposed to be the rooftop where the bat signal is located, the build is purely fictional and I did not base it on any reference material. 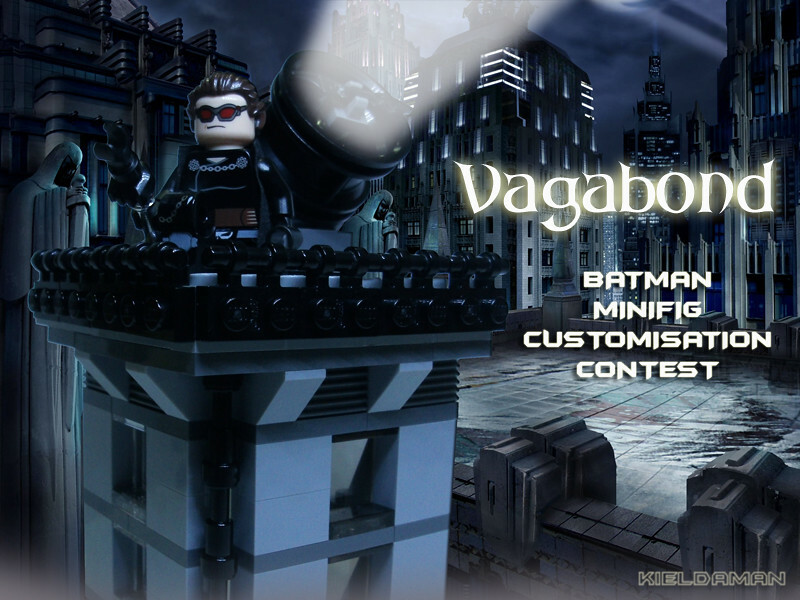 I was planning to put some actual lighting in the bat signal but I thought it would distract too much from the main focus of the contest which is the custom minifig. 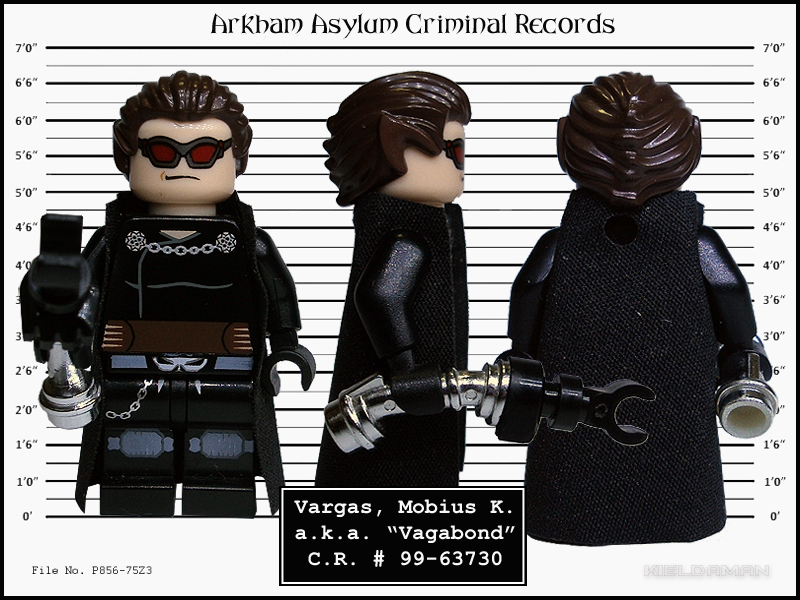 Maybe I could expand this build further in the near future into a Batman MOC. Maybe. The entry is in line with the rules. Good luck. This guy means business! Great selection of parts!